Before joining the UTM, Tareq taught at Independent University Bangladesh (IUB), BRAC University and American International University, Bangladesh (AIUB). He was a visiting faculty member of University of Development Alternative (UoDA) in Bangladesh. 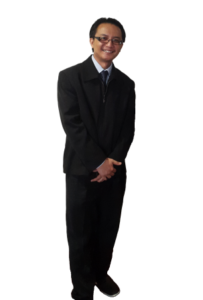 He is a Finance major, and used to teach different courses at the undergraduate and master levels. He happened to be the youngest person in some of the Executive-MBA courses that he taught. 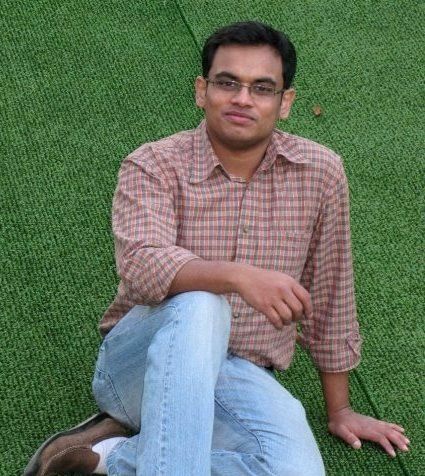 He did BBA and MBA in University of Dhaka, and earned his MPhil in Real Estate Finance from Cambridge University. He then went on to obtain his PhD from Shiga University, Japan. Tareq loves traveling and plays football, cricket and tennis. He was the fastest runner during his high-school and college days. However, he is often the last person to finish the long-distance tests. The focus of his research interest is on Asset-pricing Models, Asset Valuation, Real Estate Finance and Financial Accounting. During his career, Aizul has worked in the area of land administration and project development as well as management of environment of the construction projects in the private and now the academic sector. Until May 2009, and for three years, he was a Manager of Land, Property and Environment Management of the Special Project under the Corporate Planning and Development Division (CPDD), Petroliam Nasional Berhad (PETRONAS). While in PETRONAS, he was one of the Core Team Members who administer the development of East Coast Economic Region (ECER) Masterplan of Malaysia and their projects. Generally, he was involved in planning, managing and providing recommendations on the development of the East Coast Economic Region (ECER) masterplan and subsequently managing the implementation of projects as outlined in the masterplan. This including the activities of identifying, developing and managing the preliminary feasibilities study and project phasing / implementation plans, formulation of the land development strategies and driving the environmental risk assessment and management plan for identified projects. Prior to that, he was attached to the Environmental Management Unit of Putrajaya Holdings Sdn. Bhd., the subsidiary of PETRONAS and the master developer of Putrajaya Federal Government Administrative Centre of Malaysia for five years since year 2001. Throughout these periods, Aizul acted as a contract administrator for environmental quality monitoring contracts as well as an executive who look after the management of environment by the contractors in the Putrajaya developments. Hence, he had conducted no less than 600 environmental audits, environmental enforcement on the construction sites as well as managing works related to air, noise and water quality monitoring within the Putrajaya development. Aizul also have early experience handling the project feasibility and market studies as well as property valuation while serving the Ruang Property Consultant Sdn. Bhd. for about a year. He earned his B.Sc (Hons) from Universiti Teknologi Malaysia, M.Sc from Universiti Teknologi MARA and his PhD from University of Salford, United Kingdom. His PhD research was focused on the application of the Internet of Things (IoT) for environmental surveillance on construction sites. He is a certified ISO14001 EMS auditor and a member of the Project Management Institute (PMI) US and Malaysia chapter as well as IEEE Internet of Things Community. His favourite sport makes him become a certified assistant badminton coach by Welsh Badminton, Badminton Scotland and Badminton England, and he is looking forward to groom a new player. Now as an academician since year 2009, his current interests lie in the exploration of alternative ways to enhance environmental monitoring and management at the construction site and disaster management through the application of innovative tools and techniques. In addition to that, he also interested to investigate the true economic, social and environmental impact of development activities and making efforts reduction of the negative impacts. Akbariah Mahdzir brings twelve years of education and measurement research experience on board upon completion of her doctoral studies in Measurement and Evaluation in Education. Her precise interest is on the aspect of instrument development and validation with the application of Rasch Model and Structural Equation Modelling. She has also conducted several successful qualitative researches.She is a member of Psychometric Society and International SociologicalAssociation. She is a hopeless idealist, devoted to real cause, trying to be fair-minded, and may be dopamine deficient: a good excuse for her to enjoy her coffee. Her areas of research interest are psychometrics, HRD, innovative leadership, critical and creative thinking, measurement and evaluation as well as science, technology and innovation policy.